It’s not out yet, nor can you download a leaked copy, but sometime in the near future the Rihanna iPod Dock Kitchen Scale will become a reality. 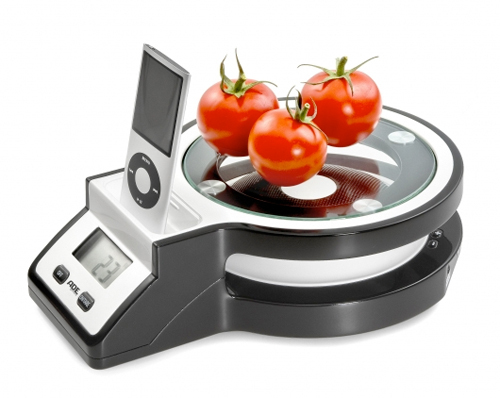 From ADE Germany, the over-achieving kitchen scale features a speaker housed directly underneath the weighing platform. How or why this will exist is anybody’s guess, but if it’s a must-have on your list, the monstrosity will cost about a hundred bucks—or about as much as a boombox with two speakers (and a kitchen scale to boot).